Cycling and drinking beer: a difficult combination? Maybe, but somehow they go together very well in Flanders. Sportive cyclists often finish their cycling tour with a (couple of) beer(s) – if they didn’t interrupt their tour for this already, preferably on a sunny terrace. Flemish people love the stories about the cyclists in the good old days, mixing a raw egg in their Rodenbach (a traditional sour red ale), as an ideal breakfast before the race. Some breweries actively support cylo’s (e.g. : the Roman brewery sponsors the Ename Classic, which is named after their famous abbey beer). 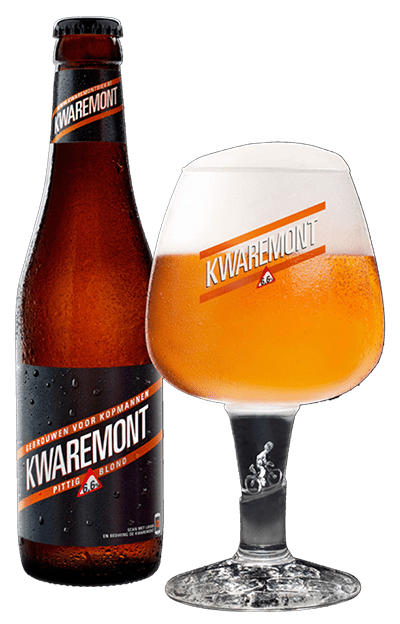 Several beers are named after a famous slope or have a name that’s related to cycling in another way: Giesbaargs Muurken (local dialect for ‘Muur van Geraardsbergen’), Kwaremont and Koerseklakske (which translates as 'racing cap'). You can taste them at a typical cycling bar. A tip: Eric Vanderaerden's victory in the 1985 Ronde van Vlaanderen will always start an hour-long conversation. So, first conquer the cobbles, then quench your thirst.